Passing on a great post from Kathleen Merz managing editor for Eerdmans Books for Young Readers. 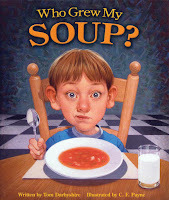 Great explanation of how to use character in nonfiction, and wonderful examples to look at. I'll keep it short. I'm thankful for every blessing in my life - family, friends, health and home. But also -- for finally finding the the information I needed for my upcoming story. One question haunted me. 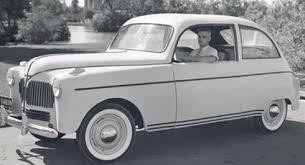 What color was Henry Ford's plastic car. In the world of black and white photos it looks like the car is white. But it could be a light blue, yellow, green... Who knows? None of the press releases mention it. None of the designers in their oral reminiscences mention it. Then I finally found an article and -- Eureka -- "cream-colored body.." Thank you to the journalist whose name I can't remember for giving me the detail I needed ('cause the illustrator will definitely ask). After familiarizing myself with my main character -- Henry Ford -- by reading several biographies, I have amassed a lengthy list of other sources that I need to get. Many of them are primary sources, which means they were created at the time Henry Ford was alive. These documents are important because they give me a window into a person's life so I can see for myself what Ford was like, hear his voice, and come up with my own conclusions about his character and about the people around him. Primary sources include letters, diaries, photographs, speeches, newspaper clippings, menus, recipes and receipts, as well as business reports, government census, birth certificates, etc. The list is endless. Most of the information I'm looking for is housed at the Benson Ford Research Center in Dearborn, Michigan, so I give them a call and make an appointment. Most research libraries or archives want advanced notice. That way they can pull the files ahead of time. You don't want to waste valuable research minutes waiting empty-handed while they find the material. Most facilities have an online catalog or finding aids so you can tell them exactly what you need. Tell them who you are and what your project is about. In my follow-up email I listed the kinds of information I needed: How Ford came up with the idea of a soybean car; how soybean plastic was created; what it looked like; smelled like; an anecdote from childhood that might explain his diet; etc. I wanted the librarian to know that I wasn't just looking for statistics or PR material. When I arrive at the Research Center it's a warm morning in August. Tourists line up for the Greenfield Village gates to open. I want to go in too. I've never seen Edison's lab or Ford's childhood home, But I hang a left and enter the Research Facility. I place my bag and lunch in a locker in the hall, and carry my laptop, cell phone, pencil and notepad through the security system. These are typical restrictions for most archives. Some make you wear gloves when handling documents, too. The librarian has a cart loaded with all the soybean files. If I stop to read everything, it will take me weeks, so I use my phone to photograph pages, cite the source on my laptop, and note the documents that I would want photocopied by the librarian. From 9-5 with a break for lunch, I work my way through most of the soybean files. Before I leave, I consult with the librarian on a list of materials I want for the next day. I feel as exhausted as the folks who spent the day walking through Greenfield Village. Back at the motel, I upload the images to my computer and check to see if they are readable or if I need to get a photocopy made. I also look through more finding aids for anything I might have missed. The second day, I am eager to see the scientist's notebooks from the soybean lab, but discover that they are just steno-pads filled with logged in information like weight, oil content and percentage of protein. However, I do notice some telling doodles. On the cover of the booklet from November, 1941 to Jan. 1942 is a sketch of two Nazi swastikas as if the doodler was trying to figure out which way it goes. On the 1944 notebook is a bomber plane firing across the paper. All the notebooks are heavily stained with soybean oil. Going through the photographs takes longer. I linger over images of the 1934 World's Fair: of nattily clad mechanics working on pristine Ford engines; mermaid dancers on a stage; sections of road from the Apian Way, China's Silk Road, cobblestones from Europe, and log road from Boston. I take a break for lunch and buy a ticket to Greenfield Village. Documents only tell you part of the story. I need to walk through Ford's world for a while. Doesn't have anything to do with soybeans, but it's cool. Last week I wrote about the kind of research I do when I get an idea. I have to answer two key questions: Is it kid-friendly, and is it a new idea or new slant on an old subject? Henry Ford's plastic soybean car fits the bill, so I move to question number three: Will there be enough information about the subject to make the project viable? I have run into dead ends before. Getting my hopes up about some arcane topic only to discover that the little tidbit that tantalized me initially was all there was. No historical records existed. I suppose I could have made it my life's work to scrape together the few remnants that remained and built on it so that I became the expert, but my heart, and my attention span, was just not that into it. I'll leave that to some grad student looking for a dissertation topic. But my gut feeling is that there is more to my plastic car story than what I have uncovered so far. After all, Henry Ford is one of the most famous innovators of the 20th century. So, my first task is to read as many biographies as I can about the man. 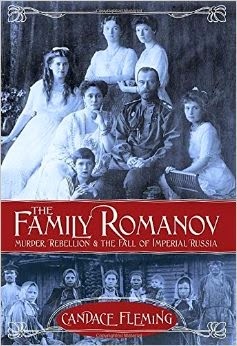 Doing research for a nonfiction book is like creating backstories for fictional characters. You need to find out what makes them tick. Where did they come from? What and who influenced them? There are a lot of biographies about Ford, so I select the ones written by reputable researchers; ones with lots of end notes and a big bibliographies that will direct me to other sources. I start to build my own working bibliography. Your real characters need to be grounded in a time and place. You need to know about the world they lived in. For this project that means reading about the Roarin' Twenties, the Great Depression, and about life in Michigan. Back in June while signing books at a conference, two educators suggested that I write about Henry Ford. My initial thought was, "Why? Aren't there a million books about Henry Ford?" Besides, this was an Agriculture in the Classroom conference. Ford wasn't a farmer. But I was wrong. They told me that Ford owned so much farm land in Michigan that he could probably walk to Chicago without stepping off his property. Huh! So, as I sat there trying to look busy and welcoming at my little table, I took the first step in researching what would turn out to be my next book project. I googled Henry Ford and farming. My phone told me that Henry did indeed own lots of farm land, he built the Fordson tractor, he was big into soybeans, and even created a soybean plastic car!!! Hold the phone! That was it. That nugget of information became the center of my research snowball. I could even imagine the illustrations. That one phrase - soybean plastic car - told me that I had a kid-friendly topic. What kid, especially a boy, wouldn't be fascinated by that? A cursory search through Amazon told me that there were no children's books on this subject. Now I knew that I had a kid-friendly, new slant on an old subject. With these two boxes checked off my mental list of must-haves, I knew I could move forward with more research. If someone else had written about Ford's car, I would have found a copy and figured out if and how I could make my story different enough to warrant an editor giving me a contract for it. Now, all I have to do is see if there is enough information available to make it a viable story. It is possible that nobody wrote about the car because the story just isn't there. To determine that will require me to dig deeper. Last week the Nobel Prize committee awarded Svetlana Alexievich, nonfiction writer and journalist from Belarus, the prize in literature for her “polyphonic writing.” I’m not familiar with her work, but for more than 30 years Alexievich has been recording the experiences of ordinary people who have suffered through the Chernobyl disaster, the Soviet War in Afghanistan, and many other atrocities. 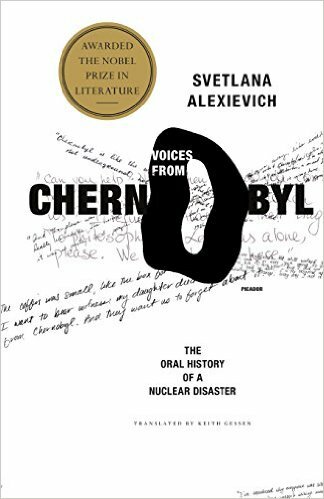 They don’t sound like fun reads, but I’ve interloaned the only book of hers in our library system: Voices from Chernobyl. I was surprised to read that Alexievich is the first NF writer to win the medal since 1953 when Winston Churchill won for his history books. Why so few nonfiction books? The New Yorker journalist Philip Gourevitch wrote, “Of course, there is a lingering snobbery in the literary world that wants to exclude nonfiction from the classification of literature – to suggest that somehow it lacks artistry, or imagination, or invention, by comparison to fiction. The mentality is akin to the prejudice that long held photography at bay in the visual-art world.” (Hey, Phil. That still exists, too.) Apparently, Alexievich’s books capture the same immediacy, intimacy and emotion as a photo of a dead child on a beach. Why are people still surprised by engaging, heart-wrenching, thought-provoking nonfiction? The general public still seems clueless to the power of well written true stories. Maybe it’s because writers (in Russia anyway) call this genre “collective novel”, “novel-evidence” and “epic chorus.” I’d be turned off too. Now that makes me want to read what this woman has to say, and hear the voices that she has gathered together. But this style is not unique. Many writers pull together multiple points of view as if they are puzzle pieces, which, when dovetailed and seamless paint a vivid picture of reality. Thankfully, many of them write for children. Titanic: Voices from the Disaster by Deborah Hopkinson. Feel free to add to the list. Let’s let our “epic chorus” be heard. Nonfiction is the truth, facts, and nothing but the facts. Right? So, is there ever room for conjecture if it is based on those very facts? This question inevitably comes up during a writing workshop, and it is hard to explain, but yes, you can make certain assumptions if the facts support it. I first heard the term "fair assumptions" during a talk given by Susan Campbell Bartoletti and Elizabeth Partridge. The example given involved a scene in which a gas lamp hissed. "How do you know the gas lamp hissed?" a student asked. Elizabeth explained that the details of that scene were taken from a photograph that showed a gas lamp hanging in the background. Elizabeth had used that kind of gas lamp and she'd heard it hiss. She made a fair assumption that all gas lamps hiss therefore the lamp in the photo hissed and the people in the photo would have heard it, even though nowhere in any written historic document had anyone mentioned the noise the gas lamp made. Last week I mentioned Erik Larson's book Isaac's Storm, and he, too, makes a few fair assumptions which he notes in the back matter. Some are based on photographs. With a magnifying glass Larson picked out specific items like a hat, clothing, etc,strewn in the debris that Isaac would probably have seen although he never wrote about them in any letter or journal. Another refers to his description of Isaac's family going to either the Murdoch's bath house or the Pagoda bath house on Sunday. Larson admits that he found no documentation proving this, but asserts that the close proximity, and the "communal character of the time -- and the absence of television -- it is all but certain that the Clines did so." Another example is Larson's assumption that venomous snakes competed with people for space in trees to escape the flood and bit people who then may have fallen and drowned. No one knows if this really happened in Galveston, but the phenomenon has been reported elsewhere. Snakes most certainly would have crawled to higher ground, but would they have bitten their competitors? I know I would out of fear and survival instincts. The most understandable assumption involves dreams. As Larson says, "I base this observation on human nature. What survivor of a tragedy has never dreamed that the outcome had been different." Would you make the same assumptions? Every writer is different. Before you include a fair assumption in your own text ask yourself: Does it change the story? Does it change the reader's perception of the event? If so, don't do it. This tool should also be used judiciously. In Larson's 300 page book, which includes 15 pages of notes, I found only 7 instances where he had to explain his use of fair assumption. And like Larson, explain your reasoning in the back matter. Don't let your reader assume you made anything up. I just finished the book Isaac's Storm by Erik Larson, about the hurricane that destroyed Galveston in 1900. The prose was powerful, thrilling and as unrelenting as the storm Larson wrote about. The story documents with near microscopic detail the events surrounding the storm, and the one man who stood in the center of it -- meteorologist Isaac Cline. "I approached the problem the way a paleontologist approaches a collection of bones. Even with so little to go on, he manages to stretch over those bones a vision of how the creature looked and behaved. I have been absolutely Calvinist about the bones of this story -- dates, times, temperatures, wind speeds, identities, relationships, and so forth. Elsewhere, I used detective work and deduction to try to convey a vivid sense of what Isaac Cline saw, heard, smelled and experienced in his journey toward and through the great hurricane of 1900." Larson goes on to explain that he "mined the library's holdings for anything that might provide a fragment of my dinosaur's skin....I used details from these photographs to decorate the scenes in Isaac's Storm." Maps guided him through the city to trace Isaac's steps, and photographs let him see exactly what Isaac would have seen. From the map, Larson knew that he would have walked past a lumber mill, a bulk coffee roaster, and several livery stables. "Each must have perfumed the day." His own observations provided details about "... dragonflies on Galveston Island, the behavior of seagulls in the north wind, and the colors of wave crests during a tropical storm." Larson's research involved massive amounts of data and facts, but he never lost sight of the need to infuse his stories with the sights, sounds, and smells that would put his reader in the eye of the storm. You know you've attended a good conference when you come home with a folder full of useful handouts and a notebook blue with writing tips you can't wait to employ. But when you come home from a conference as a presenter and you are equally excited to explore the websites that were recommended and play with the new-to-you writing tools you jotted down, then you know it was a great conference. That's how I felt coming home from Nonfiction 4 New Folks (NF 4 NF) this past weekend. Put on almost single-handedly by author Pat Miller (with help from husband/transporter/food-fetcher John, and "welfare wench" Aileen Kirkham) the conference is a nurturing place for writers trying to hone their true stories to publishable perfection. This year I talked about research and the importance of seeking out details that inform the reader about the setting, the characters, and the context in which the story takes place. Writing for magazines was also a focus of mine, and how you can reuse your research to craft one or more articles to maximize your efforts and income. Unlike other conferences where speakers rarely get to sit in on other workshops, I got a chance to listen to three excellent presenters -- Karen Blumenthal award-winning author of Steve Jobs: The Man Who Thought Different; Melissa Stewart, a prolific science writer; and Nancy Sanders author of Yes You Can Learn How to Write Children's Books, Get Them Published, and Build a Successful Writing Career (among many others). When I got home I couldn't wait to edit backwards as Nancy suggested. (It's a little tricky at first until you get the hang of it.) And I'm going to look at nonfiction books differently now that Melissa shared her scheme for categorizing NF based on structure and style which makes tons of sense to a writer. And I can't wait to read Karen's book about Steve Jobs and her upcoming book about Hillary Clinton now that I know some of the stories about how she did the research. There are dozens of writers conferences every year, and it's difficult to choose the right one. Do you go for the big ones where you'll miss more workshops than you take in, or go small and intimate? Travel cross country or stay local? 1. Choose a conference based on your abilities. Be honest with yourself. Are you just starting out? Then skip the conferences that cater to a broad spectrum of writers. You will see and hear a lot about editors and agents, but it won't help you hone your craft which you need to do before you think about getting an editor or agent. Look for a "Nuts and Bolts" conference that focuses on how to write. However, if you have a manuscript that has been revised and critiqued to the point where there is nothing more you can do, then find a conference with plenty of editors and/or agents attending. That will give you the permission to submit to them even if they typically have a closed door policy. 2. Choose a conference based on the type of writing you are interested in. If you write fiction, you have dozens of conferences to choose from, but nonfiction writers are not so lucky. NF 4 NF in Texas is perfect for a beginner. 21st Century Nonfiction Conference in NY City is good for writers ready to submit and published authors. Workshops put on by the Highlights Foundation cater to both. 3. Do you want to make friends? If you wish to remain anonymous, then a giant conference is right for you. It is easy to get lost in the crowd. (It may sound negative, but it's the truth) But if you want to build a writing community that you can bounce ideas off of, commiserate with, or form a critique group, then go small. NF 4 NF had only 32 attendees, and Pat purposely shuffled critique groups so that everyone got a chance to meet. Many "Neffers" have kept in touch. This can happen at a larger conference, but it takes a lot of courage to network if you aren't used to it. 4. Check out the presenters. Google the speakers, review their websites, and read their books. Do you like their work? Do they write the kinds of books that you aspire to write? Then that's a good indication that you will learn from them. 5. Check out webinars. If a conference seems too intimidating, cost prohibitive, or conflicts with your work schedule there are many online courses you can sign up for. 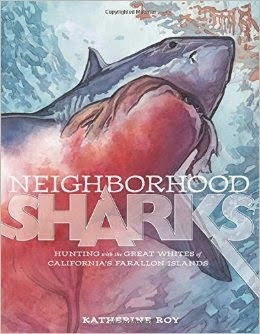 Look for ones that specify children's nonfiction. Although TJ was the obvious sequel to Farmer George, the two stories are quite different. While George labored at Mount Vernon, TJ's agricultural interests took him to France and Italy. 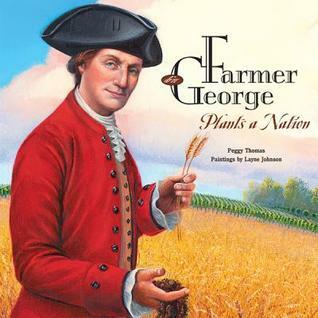 While George's efforts concerned the average farmer on a small scale- composting, plowing, and harvesting - TJ advocated for farming on a much broader platform. He was concerned with America's reputation, its ability to take part in a global economy, and of course remain ever independent. Sounds serious. But the way he went about protecting and promoting all things American will, I think, endear him to readers. Stacy Innerst's warm, earthy gouache illustrations mixed with scanned papers and textiles provide just the right quirkiness to go with TJ's amazing antics. 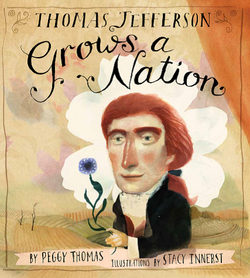 Check out Thomas Jefferson Grows a Nation through an independent bookstore near you!! She’s right about that. 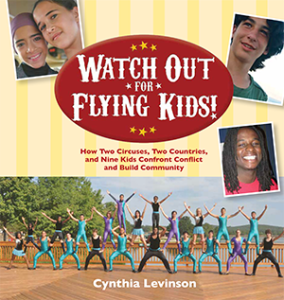 The kids tumble, juggle and fly above the conflicts that afflict their communities. The two circuses are Circus Harmony of St. Louis, Missouri and the Galilee Circus in Israel. Each has its share of stars. In Circus Harmony, there is inner-city Iking, who was in danger of following in his mother’s footsteps (she died in prison) if not for a loving mentor who introduced him to the youth circus. Iking works alongside Meghan, a transplant from the white suburbs of Wisconsin. Half way around the world we learn about Roey, a Jewish boy with a penchant for juggling, and Hla, a hijab-wearing Arab acrobat, just to name a few. There are a lot of characters in this story, but Cynthia keeps the reader on track as she first introduces each circus and then shows what happened when Circus Harmony visited Israel in 2007, and the Galilee Circus came to St. Louis in 2008. Young readers will identify with the typical problems of being homesick, yearning for pizza, and not feeling “good enough.” But they will also feel the fear and tension that is part of daily life in Israel when a murder is committed in the village the American performers are staying in. The honesty in this book is refreshing. The children don’t gloss over their feelings of anxiety, fear, and awkwardness as they try to merge the two groups. At the same time, they reveal a lot of maturity persevering through injuries, lack of equipment, foreign languages, learning to trust each other, etc. And this is piled on top of the common challenges of growing up – changing bodies, trying to fit in, making decisions between sports, cheerleading, circus, etc. Throughout the book, sidebars in the margins offer more information about circus acts, Jewish and Arab traditions, as well as the Second Lebanon War that the Israelis kids lived through. Thematic quotes begin each chapter, and at the end Cynthia lets readers know what some of the children are doing now as older teens and adults. Cynthia does a tremendous job juggling dozens of characters, bouncing back and forth between the two circuses, and moving the story forward chronologically. A less ambitious writer might have settled for a tighter focus on only one circus, but the story would not have allowed the reader to come away with the understanding that, no matter where we live, we are all alike. I had the great pleasure of delivering the keynote speech at the National Agriculture in the Classroom conference in Louisville, KY. 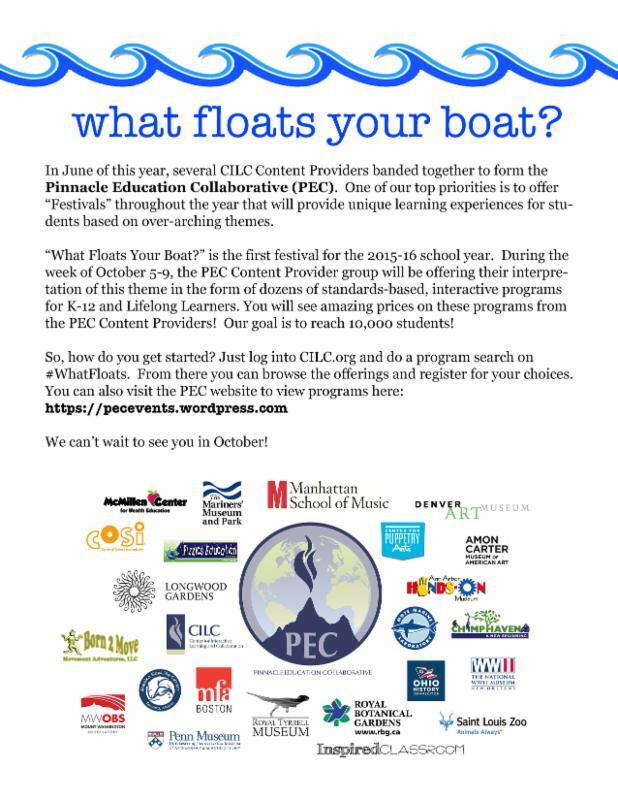 Being the only writer among hundreds of teachers and program coordinators, I was in a prime position to reap a bushel full of fresh writing ideas that have instant appeal to a specific market as well as a general audience. I had never heard of an agricultural literary market until my book, Farmer George Plants a Nation, won a few awards from state Farm Bureaus in 2008. That's when I learned about Ag in the Classroom and the enormous network of people in each state who promote the importance of agriculture to children and the wider community. To help get the word out about how vital agriculture is to every part of our lives these people need great books. That's where you come in. The catch is that these books need to be accurate. No Ol' McDonald in overalls sitting on a stool milking a single cow. They want to see modern carousels with cows milked round the clock -- accurate portrayals of modern farms. Julia Recko of the American Farm Bureau Federation said there was a need for books on poultry. Not my cup of tea. But if you can accurately create a positive story about the workings of a poultry farm, then you've got an audience waiting. Although the meat industry may be a little difficult to represent - can't have Larry the Lamb narrate his life from pasture to plate -- there are hundreds of other farm products that have fascinating stories behind them. You just have to look. Ask around. Visit a local farm. Think about cranberry bogs, aquaculture... Take a popular food and trace it back to the soil. Find a new slant on salad greens. 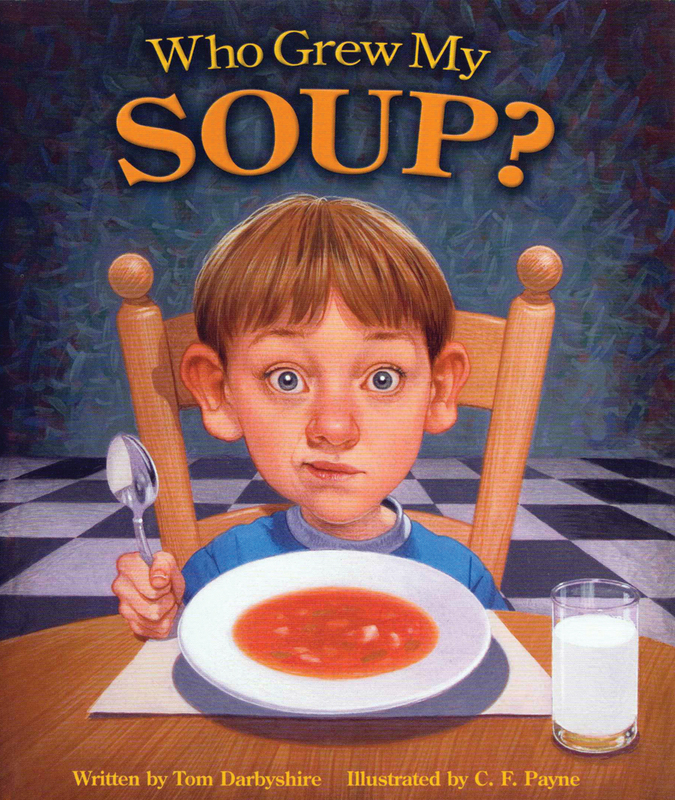 Some good representative titles include: Weaving a Rainbow by George Ella Lyon, Who Grew My Soup by Tom Darbyshire, and Extra Cheese Please! by Cris Peterson. Or go the historical route as I did. Find a true story that highlights an agricultural innovation, the origins of a favorite food, or shows how farming has shaped our culture. Check out your state's ag in the classroom website and become familiar with the kinds of books they use. Are there subjects they don't have that you could research? Look at the lessons they offer teachers. What kinds of books would go along with those lessons? When searching for your next nonfiction idea, consider an agricultural story, and you, too, will get to meet the fine people who make up Ag in the Classroom. 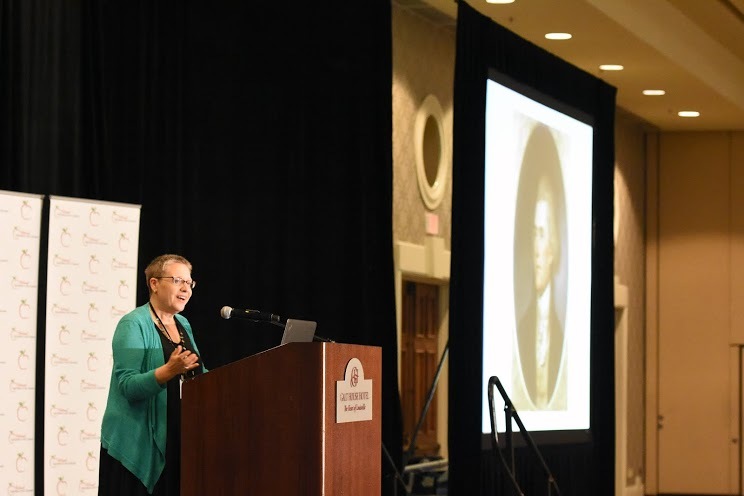 If you are looking for a writing conference that focuses solely on nonfiction, is sure to boost your writing to the next level, and will connect you with dozens of other like-minded writers, then you've found it. Nonfiction 4 New Folks is the creation of author Pat Miller who knows what a writer needs - encouraging mentors, an intimate setting so you don't get lost in the crowd, and tons of useful information. There is an awesome faculty line-up -- Melissa Stewart, Candace Fleming, Karen Blumenthal, and Nancy Sanders. and I will be there too! The conference is limited to just 40 attendees so there will be a lot of opportunities to ask questions and get the help you need. The schedule is jam-packed with opportunity to hone your craft and learn all about writing nonfiction. I’ll be talking about research techniques and how to write for magazines. Sign up now and get a manuscript critique. Slots are filling up fast! If you are like me and haven't had company to the house in months, or you cringe at the thought of going out on a Tuesday night, then check out this article by A. K. Whitney, on The Write Life. She talks about freelancers who go feral when they work from home. It rang a few bells for me. At my first school talk this Spring, I had to work extra hard to act professional and not like the stumbling cave dweller that I felt like inside. My favorite line of Whitney's is, " Remember, only you can prevent your friends from feralizing." What does it say about me that the first thing I do when I creep out of my feral winter cave is dig in the dirt??? But it works. When I garden in the front yard neighbors stop by, and I get to see the baby's new tooth, hear the scoop on someone's carpal tunnel, and learn where their kids are going to college. How about you? How do you de-feralize? A month ago I made a rash decision. To shave my head to raise money for Roswell Park Cancer Institute. "Bald For Bucks" sounded fun at the time (my husband was going to do it too), and I definitely wanted to "pay it forward" for the great care he received and continues to receive at Roswell. It seemed like the least I could do. Now, I'm two days away from getting buzzed and I'm anxious. Not that I'd back out or anything. I'm ready. So what am I nervous about? Those are the feelings I want to get down on paper before the clippers strip me of these emotions and I'm faced with new ones. As a nonfiction writer, the greatest primary source you have is yourself. You may be going to do something foolish like I am, or maybe you witnessed sea turtles hatching, or you have great knitting tips for beginners. All of your experiences are viable and valuable research materials -- especially if you document it. Being able to pull out a journal and read -- "Sunday, July 7 -- We climbed the guano-covered steps up to the cave entrance and the Buddha inside. Bats flapped overhead.... It smelled of old wine." -- is like finding gold. It's been three years since I was in that cave. I didn't remember what it smelled like and would not have been able to write about it accurately if I hadn't have written it down. When you want to write about a personal experience, and you know a head of time, it is just as important to nail down your BEFORE as it is the event itself or what comes after. You can rely on memory, but as I just proved, memory doesn't capture everything. So, that is what I'm doing today. What is my before experience with hair? I've never been in love with my hair. It's poker straight, and the length rises and falls to the whim of my hairdresser who I love, but (Sorry Tim) has good days and bad. Now that it is graying, I find myself contemplating color, although I swore I never would. A buzz cut should be, and in some respects is a welcome challenge. I already went out and bought two scarves. One is black so I can wear it to perform in a choral concert without the lights glinting off my naked bean like a giant spotlight announcing that the 2016 Hondas are in. My big concern is that I don't want anyone to think I am mocking them, or diminishing the agony of cancer and chemo and its effects. Will people ask me if I have cancer? What will they say when I tell them no? In a way this is me getting as ugly as I can -- 54, overweight (although I'm working on it), and bald. Can I, will I, still love myself? Did I before? Hell, I'm still trying to wrangle woolly eyebrows! The best I can hope for is that this experience will be freeing. At the very least? It gives me something to write about. Lesson -- Write it down! What you did, what it looked like, what it smelled like, felt like, tasted like, and especially how you felt about it. **If you want to donate to Bald for Bucks click here. Only ONE! -- What's Up With That? A few months ago I gave myself the gift of Publishers Weekly. It's my attempt at being more professional, more in touch with the business. It always comes before noon, and I manage to plow through most of it over lunch. PW has interesting articles on things like translating Polish poetry, and, of course, they have reviews of the newest books. I usually scan the adult fiction section pausing briefly at the starred reviews. The nonfiction reviews, on the other hand, I read thoroughly circling the ones I'd like to purchase but probably won't, hopeful that I'll be able to interloan them in a few months. In the last issue, PW reviewed 38 nonfiction titles. I circled 3 -- Spectacle: The Astonishing Life of Ota Benga; Stalin's Daughter; and The Strange Case of the Rickety Cossack: and Other Cautionary Tales from Human Evolution. The section that causes lunchtime to run over into writing time (or nap time, if I'm being honest) is the Children's/YA reviews. In the last few weeks that consists of about three pages of picture books, more than a dozen mid-grade and YA titles, and one book of nonfiction. ONE! What's up with that? Now, I didn't stop to find the stats on how many fiction and nonfiction books are published each year by the hundreds of publishing companies in America, but I'm pretty sure that out of all those houses, large and small, there was more than one nonfiction title worthy of a PW review. But I could be wrong. I sent off a query to PW, not expecting a response, but got an email back the very next day. 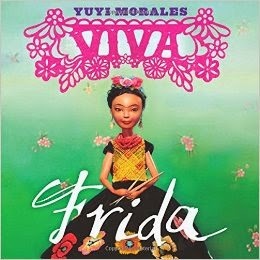 John Sellers, the Children's Reviews Editor said, "While it is true that we often only have one nonfiction title in a given issue, that's not a hard and fast rule -- some weeks we have more, some weeks we have none." I could stop there and make it sound like PW is snubbing NF, but it's not true. 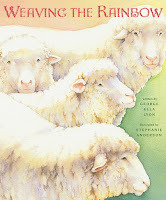 Sellers went on to remind me that some NF titles often get featured in "boxed roundups of animal-themed books, picture-book biographies, science/history titles, concept books and so on." I still wondered about mid-grade and YA NF. "As far as longer, "novel-length" nonfiction, we review a good amount of what we receive," said Sellers. " But we receive far more YA and MG fiction than we do nonfiction books for those ages." Huh! I would hope that publishers send their nonfiction as well as their fiction for review. I have a thought. If you have a mid-grade or YA trade book coming out soon (PW doesn't usually review for the institutional market), ask your editor if they'll send review copies to PW. Let's see if we can beef up the stats. Today is Thomas Jefferson's birthday, Celebrate with a Nonfiction Minute! Learn how he became a smuggler and grew America's economy. This Nonfiction Minute is a preview of my newest book Thomas Jefferson Grows a Nation to be released in the fall. It's a real thrill (but rare) to see my books in an actual, physical bookstore, so I take my kicks where I can get them. I saw an ad for the Children's Bookstore and their online book fairs in SLJ, and clicked on the link. I scrolled down the list of authors, which was short, and I wasn't there. Maybe this was a small operation working with select authors, I thought. I typed in Farmer George, and it popped up along with four of my other titles. Yippee! If you're books are in their catalog, they welcome a short (250 word) author's note that they will add to the book listing. In their instructions they ask that the note be original, "not the usual marketing blurb or cut and pasted information from your website." They'll check! They recommend a short description about why you wrote the book, or how the book can be used in the classroom, or what expertise you bring to the subject. I asked about being added to the author's roster, but haven't heard back yet. I will also add their link on my website to give them a bit of traffic. So, for all of you who are always looking for ways to help promote your books, check out the Children's Bookstore. You might be there. This time of year is always exciting for children's authors. We get to find out which of our favorite books have won awards. 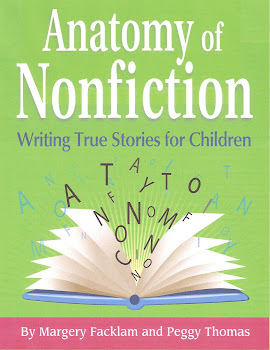 For us nonfiction writers, the biggie is ALA's Robert F. Sibert Award for the most distinguished informational book for children. 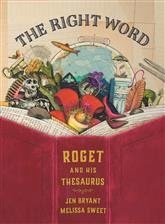 This year the award went to author Jen Bryant and illustrator Melissa Sweet for The Right Word: Roget and His Thesaurus (Eerdmans), a beautiful picture book biography. *The Port Chicago 50: Disaster, Mutiny, and the Fight for Civil Rights by Steve Sheinkin (Roaring Brook). CONGRATULATIONS to all the winners! If you haven't read them yet, interloan them now. Use them as mentor texts for your own projects, and maybe someday your name will be forever connected to that of Sibert, or Caldecott, or Newbery. I always start the new year off by cleaning my office. It isn't a nod to feng shui and good karma for the next 12 months. It's to put away the wrapping paper, receipts, shopping bags, and boxes of Christmas decorations that end up in the one room in the house no one needed to sleep in over the holidays. It's reclaiming my space. And this year it gives me a place to start now that I am in that odd freelance place between contracts. What should I work on next? Which idea has percolated in my brain enough that it's ready to dive into. There are so many options, because like most writers I have several ideas brewing at once. I wish I could work on more than one project at a time, but I'm not a very good multi-tasker, so I have to choose carefully. Is there a project that is time sensitive? Is a pertinent anniversary coming up? That is a good selling point for an editor. Have newer books on the same subject come on the market while I've been percolating? If so, is my idea different enough to compete successfully, or should I shuffle that idea lower in the deck and wait a few years? How do you decide what your next project is going to be? What are you working on now? I don't usually care about the industry numbers that come out each year ranking book sales, because I always know my category - children's nonfiction - will be mentioned somewhere in the last paragraph, or not at all. But, yesterday PW announced that the sale of juvenile NF increased 15.6% from 2013 (at least among the outlets that report to BookScan). 48,882,000 in 2014, up from 42,283,000 in 2013. Hooray for us! It doesn't even dampen my enthusiasm that the top 4 books in the category were handbooks for the Minecraft game. These numbers should perk up the ears of editors and agents, and make them more interested in those nonfiction stories that come across their desks. So, get your manuscripts polished. 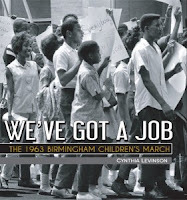 Let's make 2015 an even better year for children's nonfiction.